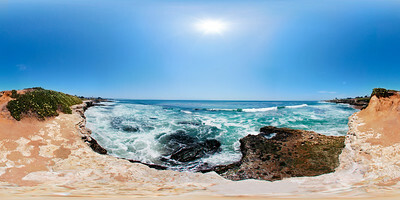 Enjoy panoramic prints of beaches and coastal scenes by John SCHWARZELL. View the panoramas online interactively at EXOPHRENIC.COM. All photography © 1996-2017 John E Schwarzell. All rights reserved.